The carrier is fabricated of Army shade 106 olive green, water repellent treated nylon duck and webbing. 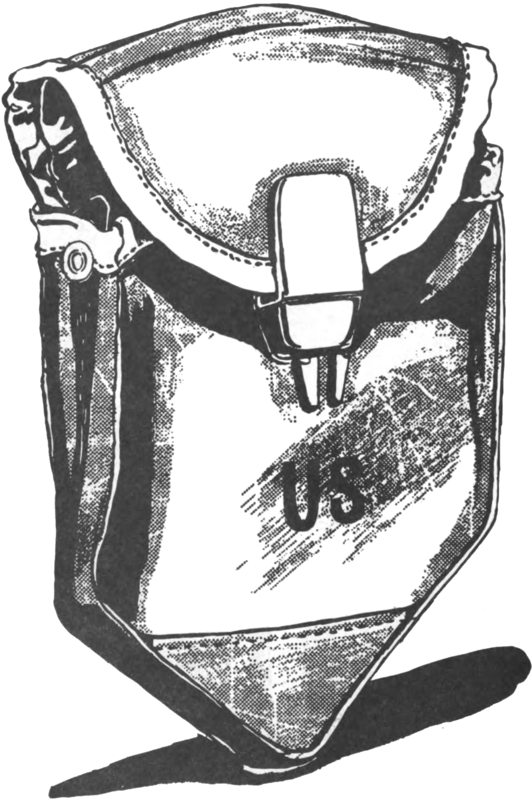 The carrier is attached to the pistol belt by two interlocking slide keepers. It has a plastic latch type closure.